GIVE A CARING TOUCH AND HELP CHANGE A LIFE! When you purchase any NIVEA product, you not only show care for your skin, you also show care for others. This is because, when you choose CARE from NIVEA, you help uplift a community. 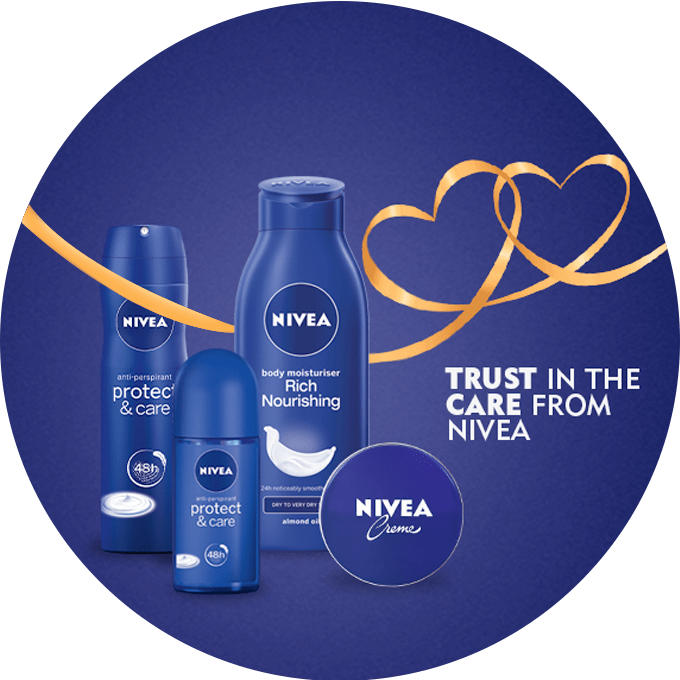 Care is at the heart of the NIVEA brand – not only providing world class skin care for beautiful and healthy feeling skin, but also caring for the wellbeing of people. NIVEA’s global Corporate Social Responsibility (CSR) Strategy, ‘NIVEA Cares for Family’, aims to uplift 1 million families globally. What is unique to South Africa is that the spirit of togetherness extends beyond what the rest of the world perceives as the nuclear family, both because this is the culture of its people and because tragic circumstances have often broken down the traditional family structure. In the African culture, family revolves around Ubuntu - the understanding that ‘I am what I am because of who we all are’. Through working together to serve the wider community, people can become more. Thanda is a non-profit organisation based in Umtwalume, KwaZulu-Natal providing valuable support for the local community through Early Childhood Development (ECD) and after-school programmes. Research shows that 90% of brain development happens before the age of five, which is why ECD programmes are vital, yet less than 16% of children in KwaZulu-Natal have access to these. Thanda after-school programmes for Grades R-11 support the development of key lifeskills: self-esteem, critical thinking, empathy, creativity and understanding rebelliousness. NIVEA has been supporting the Thanda Centre since 2015. At the NIVEA Thanda Centre, children not only receive a hot meal and participate in educational and stimulating programmes, but also find a place where they feel safe and are cared for. The centre hosts the only library and playground in the area, with its number one drawcard – the skate park! NIVEA’s support over the years has ensured that children are properly nourished-alleviating the mental and physical burdens of food insecurity-so that they are able to learn and grow into healthy individuals. NIVEA has also supported the growth of the Early Childhood Development Programme, ensuring that children in the community are given fair and equal access to quality early learning opportunities. Their supports extends further to the After-school Educational programmes which are centred around an experiential, inter-disciplinary curriculum that builds strong educational foundations and five essential life skills: self-esteem, critical thinking, rebelliousness, empathy, and creativity.